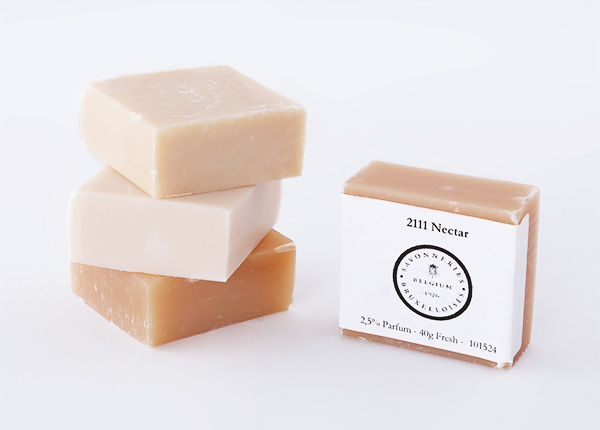 How to create a beautiful and unique soap ? We listen to our customers and take time to develop projects with them. We offer a wide range of possibilities to meet their specific need. Please find hereafter the information that Savonneries Bruxelloises requires in order to provide a competitive quotation. Savonneries Bruxelloises successfully matches the requested coated pantone number. Savonneries Bruxelloises offers a wide range of selected long lasting fragrances. Alternatively supply your own fragrance. Today one realizes the importance of skincare. 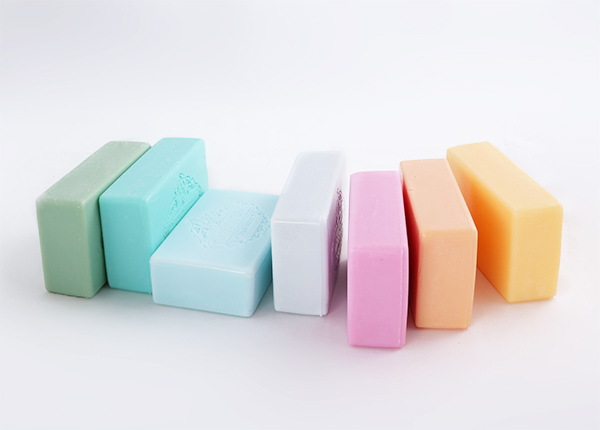 To increase the benefits of your soap choose the adequate additive out of our many scrubs, oils and other ingredients. Here also you may supply your own ingredients. Animal origins are prohibited. Have your own shape designed. We create it. Alternatively choose out of the 250 shapes that are neutral and available for use of the customers at no extra cost. A lot of these shapes can be personalized. The cost of tooling depends on the technical possibilities. 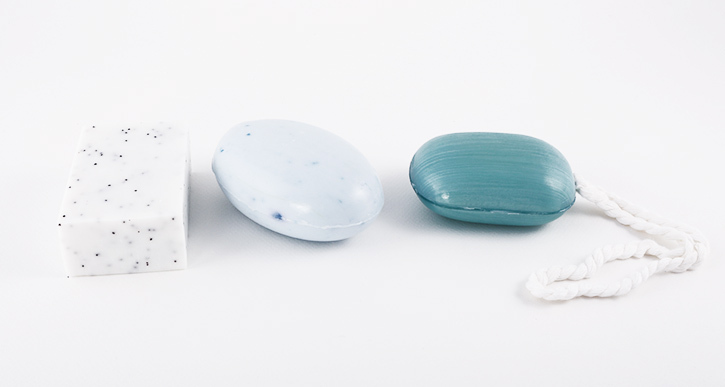 You can personalize the top and/or the bottom of the soap. 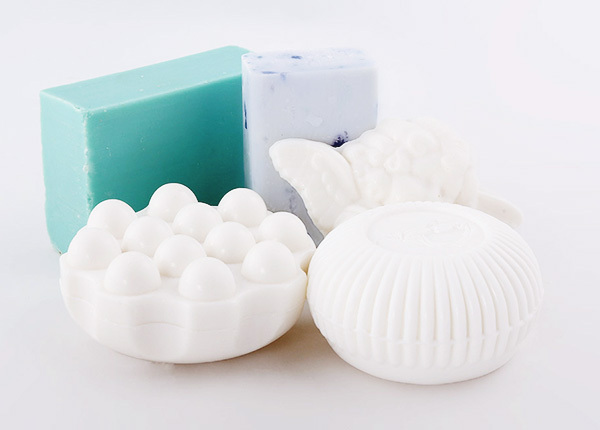 Either a small sized stamp and/or a large logo that can be de-bossed (coming out of the soap) or embossed (going in the soap). 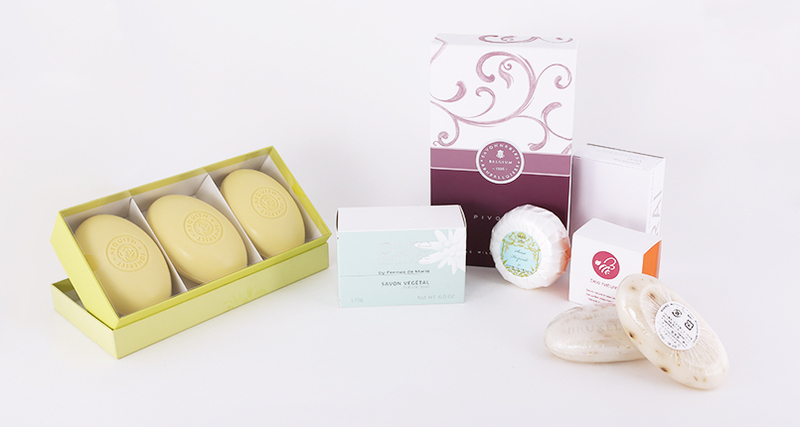 The packaging is the eye catcher and offers protection to your soap. Either skin wrapped or pleat wrapped with a label, presented in a box or in a single wrapper. We can offer various possibilities. The creation and production of the carton boxes and wrappers are outsourced.